JR Window Glass & Door Services is a recognized and registered company which undertakes all kinds of repairs on windows and doors. We do all kinds of door repair as well. It has a service center in Brampton. The company has many years of experience in door repair. We have qualified technicians who are capable of repairing, replacing and maintaining different types of Doors. 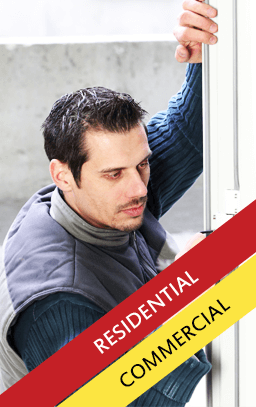 We can expertly handle repair works on UPVC doors, metal sliding doors and wooden framed doors. 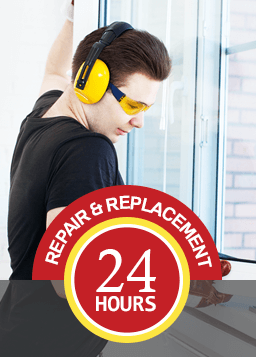 Even if it is a single, double and triple glazed glass doors, we do undertake repair works and complete it to the entire satisfaction of the customers. We do garage door repair also. So if you are in need of door repair, then do not hesitate to contact us. Remember Garage door repair Brampton is JR Window Glass & Door Services. Whether it is garage door repair or repairs for any other types of door, we assure you that we will give you quality service. Are you thinking of garage door repair cost? Don’t worry about the cost. We are always mindful about your financial affordability. We are sensible in charging for repairs. Definitely garage door repair cost will be within your budget. JR Window Glass & Door Services is also doing front door repair. In addition, we are doing repair works on sliding closet doors, screen doors, cabinet doors and entrance doors as well. To perform repair works on these types of doors in time to suit the customers, we have sufficient number of essential hardware items for front door repair works and for sliding closet doors, screen doors, cabinet doors and entrance doors. Our technicians can attend all emergency calls as they are available 24 hours a day. Have you suffered a door damage? Is there an accident to your to your door of the house? How about doors of commercial, residential or industrial office property? Is there an urgency to repair it and make the building safe and secure? Just call us. Our fleet of vans are equipped with a wide range of spares. That allow us to complete most door repairs or replacement. Our specialist fitters will fix the problems in a single visit. We are also capable of replacing doors and its components such as lock and other hardware items, springs and hinges. Our charges are reasonable for repair works and maintenance services in Brampton. For this reason alone, we have many customers. You know original wooden framed doors need regular maintenance and care. If you are really interested in making your house look elegant, JR Window Glass & Door Services can renovate doors of your house. We ensure that they last for many years. We have over 26 years’ experience in door works. So we are fully skillful in working with all varieties of doors. So, why are you waiting? Don’t wait. Just call us. Looking to have rollers replaced in a sliding door and adjusted I am located in Brampton was wondering roughly the cost. We need someone to replace the glass in our sliding patio door. It is quite a large door. Do you provide this service?